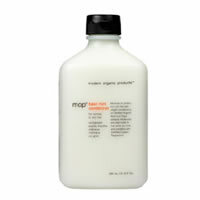 MOP Basil Mint Conditioner is a lightweight conditioner that is gentle on normal and oily hair. MOP Basil Mint Conditioner helps to minimize oil production with the lightweight conditioning properties of Basil and Sage extracts. This easy to use subtle conditioner moisturises and adds shine to hair while coolling and conditioning the scalp and senses with peppermint.